We're clearing out the catalogue at the moment, and found this design for a tried and tested Adjustable High Voltage Generator, which we used to sell, but have archived now, simply because there are so many designs out there, we can't make any money off it. So, we're putting this design out there in the public domain, for anyone who wants to use as they see fit. There's nothing really special about the design, but it's a tried and tested unit, of which we have sold hundreds in the past. 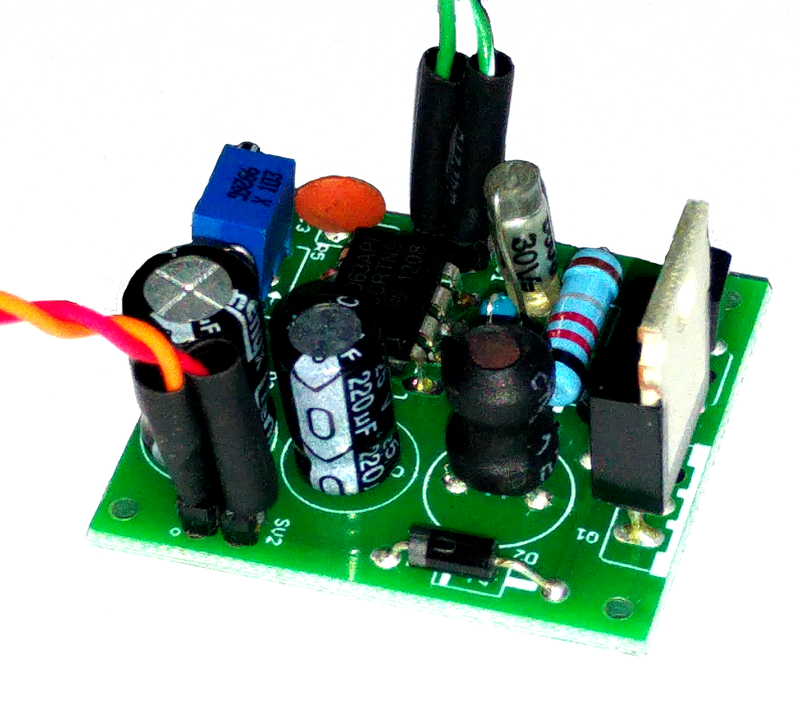 The output voltage is continuously adjustable from 40V to over 200V and the output power is up to 5W. This is a decommissioned Eagle project, which we used to sell, but there are so many possibilities out there, we decided to just make this public domain. I received an Azevedo NWTS module last week, and got around to building it today, following the clear instruction manual. More about this later. NWTS is a "NTP to WiFi Time Synchonization" module, primarily intended for Nixie Clocks, but you could also use it for any other purpose where you want a reliable source of time, over a GPS like interface. Azevedo devices worked with Mr.Nixie to come up with a small, neat device that plugs into Mr.Nixie clocks as well as PV Electronics clocks. It's not just limited to those clocks. It should work with any clock that uses the GPS NMEA protocol and standard electrical characteristics (and most clocks do). Why not just use GPS? I can answer that one: I live in a tall building, with poor line of sight access to a GPS signal. If I try really hard, and put the clock close to the window on the right side of the house, I can eventually get a GPS lock. It takes time, and it's not very reliable. If you're out in the country, it may be way easier to get a good signal, but in a densely populated part of town, it's a problem. At least it's a problem for me. Apart from that, I don't want my clock near the window on the wrong side of the house. I want it to be where I am most of the time, and where I can see it. So, in my house, I don't have a good GPS signal, but I do have a good WiFi network, and out there on the net there are NTP (Network time Protocol) servers, which are synchonized to the same atomic clocks as the GPS satellites. Azevedo and Mr.Nixie came up with an idea to have a WiFi connected device, which pretends to be a GPS module. Neat... Problem solved! It's a cute little module, and the build was very straightforward using the excellent instructions. You can find the latest manual here. For me, the total build time was about 20 minutes (but I am quite fast). All of the components are through hole, and don't really require any special tools or skill. 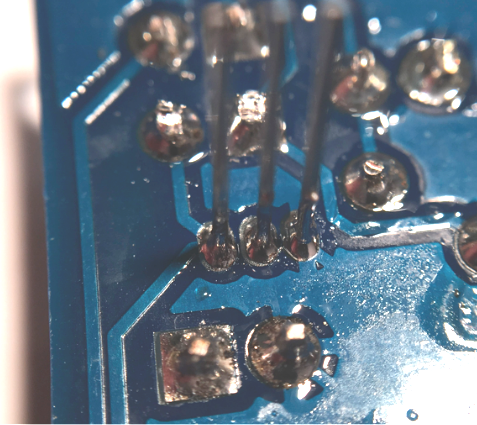 There is only one thing that requires extra care: the voltage regulator and the transistor have very small TO-92 pads, and you'll have to be careful not to make solder bridges on these. Apart from that the build is very straightforward and easy to follow. 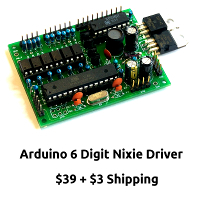 The component count is not huge, and all of the complexity is really on the tiny ESP-8266 module. 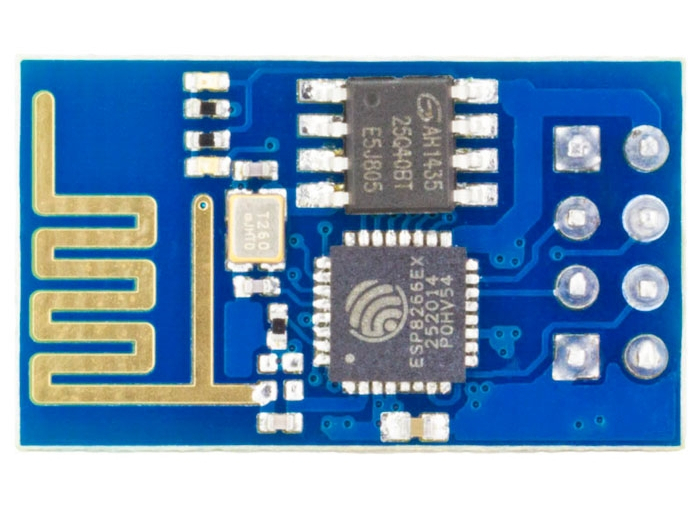 The ESP-8266 is a tiny "maker" module which combines a micro-controller, (like the one in the clock itself, but more powerful), and a WiFi interface. The ESP-8266 is a miracle of modern electronics. The squiggle on the left of the board is the WiFi antenna, the black chip on the bottom is the controller, and the 8-legged chip above it is the flash EEPROM. Because of where I live, I had never bothered to configure the clock with a GPS interface. Going into the clock configuration, I had to configure the "Radio time signal source" to use GPS (option "4" in my case), and set the baud rate of the interface to 9600 baud (option "1" in my case). Neither of these were the default settings, so you will need to do this step on your clock. After that, I had to configure up the nwts module. To do this, you have to log into it with a phone, tablet or PC, and tell it the SSID ("WiFi name") and password of your home WiFi network. To do this, you have to connect to the WiFi access point provided by the nwts. I found the task of logging in the first time to be a little fiddly. At first my phone didn't want to connect to it and kept falling back to the WiFi network. After I told the phone to "forget" the home WiFi network it connected correctly and I was able to configure the unit. After turning everything off and back on again, the tiny blue LED on the ESP-8266 started to blink correctly, and within two seconds, the time was synchronized on the clock! I use the module on my clock now, simply because it's fast to synchronize and I don't need to touch the clock again. For me, GPS was not an option, as noted before, and I had stopped using the PV Electronics clock because it wasn't as accurate as the phone I carry around with me all the time. The phone is not as cool as the clock, but I don't need a clock that tells me the wrong time. I love the "fit and forget" nature of the module, and now that I have a cool clock that knows the time, I have put the PV Electronics clock back where it was in my living room.